North American rock music, of all standards and styles, has subconsciously brushed off the subtle use of wanting to bring back the golden days, as if to say that modern music is unbearable, cheap, and without merit. 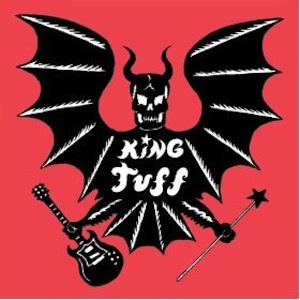 King Tuff is this atypical alternative rocker, attempting to revive this post-seventies rock aroma with striving adolescent vocals. However said, these neo-Rolling Stone efforts seem to blossom into a fresh, lo-fi alternative rock that borders on happy-go-lucky jamming but it all seems, at the same time, to conjure up an indirection that is of no fault of his. With a more exalted personnel of producers and know-how fogies, King Tuff debuted on Sub Pop, leaving behind his initial style that sounded like solo work executed in a lone cell. Still solo, the Seattle major label recreates a King Tuff in multitudinous forms with the jumpy “Keep On Movin” and exiting track “Hit And Run.” Successful with these, the album as a whole often generates an energy-dripping moistness that fails trying to summon a rebirth of an old classic sound. Perhaps it’s too soon to call himself a king, as of yet.